Pokemon Card water type. . Wallpaper and background images in the Nichole Watterson club tagged: fan art pokemon card nicole mom cat nicole watterson the amazing world of gumball. 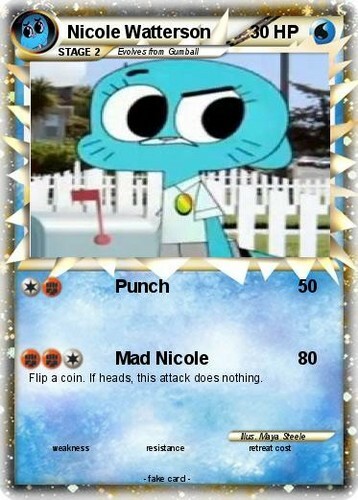 This Nichole Watterson fan art might contain 신문 용지, 잡지, 타블로이드, 걸레, 신문, 종이, 타블로 이드, and 걸 레.